Abortion... Termination... No matter what you call it, you can't pretty it up. Amanda was almost five years old when I fell pregnant for the second time. Both she and I were delighted over the idea of her having a little brother or sister. I can still remember the smile on our faces when, while I walked her to school one morning, we were talking about 'our new baby.' We wanted this baby. However, the relationship I was in at the time fell apart before the end of the first trimester. Then, unexpectedly, and for the first time in my life, I had a support team. But what I heard most were negative reports. "Two children to two different fathers?!" was one that got me most. And having no money, and apart from the bedroom Amanda and I shared in my dad's flat, we had nothing to give a new baby. At the time, an abortion seemed like a 'logical' thing to do. I was nearing the end of the third trimester when my doctor told me I was running out of time to choose an abortion. On fearing there was no other choice, I decided to go ahead with it. The doctor then warned me that there would be protesters outside the abortion clinic. I feared that idea, just as I feared everything else in life. I was a timid person and feared I wouldn't make it through the front door if the protesters were there. With a very dear friend at my side, I went to the clinic, with breath held, expecting abuse in some way, but no one was there. Not one protester. Inside the clinic, I found myself amazed at the other women there. Most of them looked as though they had just stepped out of the office or a beauty parlour, and, in my naivete, I wondered why someone would abort their baby if the could afford to keep it. I know better now, but I didn't then. Prior to the termination, I was called into an office and questioned. Did I want to do this? Was it my choice? And so on... I informed them that it was my choice. Not long after, as I lay on that cold table, just when it was too late to turn back, I started to cry. It was as though something had blinded me to the reality of what I was doing, and as soon as the abortion could not be stopped the lie lifted and the reality of it all hit me. And it hit me hard. As I wept, one of the women tried to comfort me by saying, "I know it hurts a bit. But it's almost over." "It's not that," I wept... "I just killed somebody..."
It would be years later, after I had given my life to God, and after He had encouraged me to record the meanings of the significant names in my life, that I learned my unborn son's name (whom God had shown me in a dream once was a boy; whom I asked God to name for me some time earlier; whom God named Mark; who had definitely left a mark on my heart and soul) meant "Warlike." It was the day after I had learned what Marks' name meant, the day after I had recorded the meanings of the names as God had asked me to, the day after I had seen my heart written out before me in the meanings of the significant names in my life, that God would speak to me of this abortion and its after effects. That day, many years after the abortion, a neighbour came to visit, and he arrived just as Tim and our three youngest children were heading up into the mountains for the day. This visit was an unusual event, but, at this stage of my walk with God, God was also teaching me to trust His timing, so we held off on leaving for awhile, and chatted with our friend. By the time we got to the mountains, we had heard a Christian program on the radio where a woman was sharing her testimony regarding the many miscarriages she had suffered. As I listened, with tears, I said, "God, this must be how you feel when you lose one of your children..." Then thinking about my 'Warlike' child, God said to me, in my heart, "When they took Mark out of you, they took the fight out of you, and death came in..."
You see, after the abortion, I became a very angry person. I stored most of the anger in my heart, but it was there, spilling out when I could not hold it back. Unfortunately, because of this, because death entered my heart, my relationship with Amanda suffered. We weren't as close. I wasn't as affectionate. I was angrier... I started drinking more. I started going to pubs and clubs more. I had never held confidence, but now I despised myself more than ever... At this time, I even told the only Christian I knew where he could shove the Bible. If it wasn't for a moment I had in a pub around this time, I'd probably still be in that place: It was a school day. I had just ordered a drink and sat down at a table. As friends joined me, I stared at my drink, realising this was the umpteenth day in a row I'd been to the pub, and suddenly I decided, "I can't do this anymore." I rose from the table, left my drink where it was, said seeya to my friends and went home. Soon after, I packed Amanda and myself up and headed off to live with one of my sisters for a time, on the other side of Australia. You could say I was running away from what I had done, from the pain and the anger. But it came with me. And I soon gathered more anger, more regret, more heartache, and about 9 months later I returned home, only to receive a Government owned home in the town I grew up in. I felt more trapped and angrier than ever. I also started seeing an old friend and we soon started a relationship. However, we clashed a lot - due to the fact that I was a very angry person - and that relationship ended, leaving me in the pit of depression. That was when I looked up at a full moon one night (as stated in my blog 'WHO AM I') and cried out to God for help. God rescued me. When I cried out to Him, repenting of my sins, and though I didn't realise it for awhile, God came to rescue me immediately. He also worked to remove the weight of guilt from my heart, concerning the abortion. It was a long and painful period, and I still regret that abortion with all that I am. But God never stopped loving me. He would've preferred Mark to live - hence His reason for forming Mark in my womb - but He couldn't get me to go against my free will, even if He had set up signs along the way to say differently. Despite my sin, He still loved me. I repented, He forgave me. 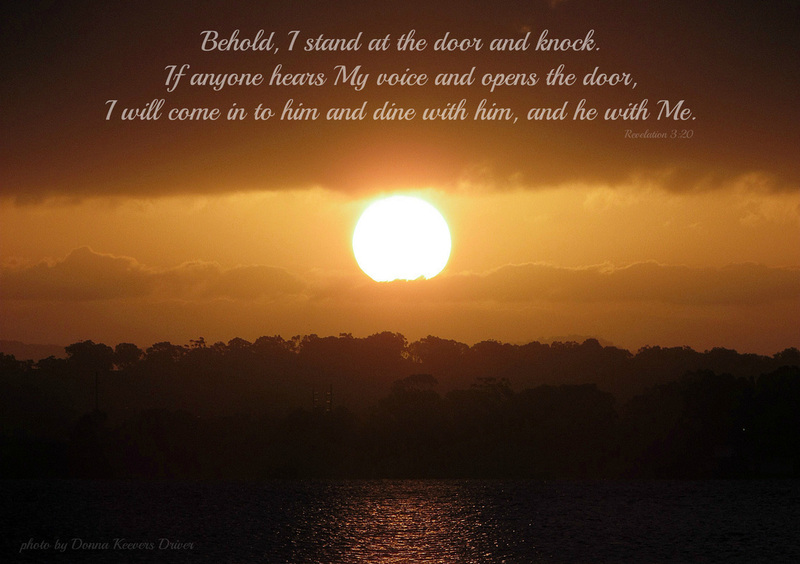 I cried out to Him, He came to me. I then learned that while I was stumbling about in my world, He was pursuing me with His love, waiting for me to cry out to Him. It's been 24 years since that abortion. My son would've been 24 years old this October... and I still miss him. I still ache to hold him in my arms; to kiss his cheek; to look him in the eye and tell him that he is loved. I still regret aborting him. No matter how much God forgives me, and how hard God worked to have me forgive myself, I will always regret aborting my child. But God, in His mercy and grace, has given me a knowing that even Mark forgives me, and he waits for me on the other side of this life, where we will finally hug for the first time. Mind you, Mark had a right to live. Whether I knew it or not, whether I could see it or not, my son, just like all of God's children, had a purpose in this world, and I denied him the right to live it. Actually, what gets me the most about this part of my testimony, is that, even though Mark was not permitted to live, he still made his mark in this world. God has used Mark to show me that we don't have to do anything to earn God's love. My son never held me, never did anything to win my affection, never achieved anything, yet, he still has all my love. The part of my heart that belongs to him is his, and no one can take that from him. He will never serve me, never work to please me, but he doesn't have to. He is my child, and I love him. And so it is with God towards us. God's love for you is not based on your actions. Sure, we followers of Christ seek to do God's will, but not to be loved, but because He first loved us; it is our response to His love - our love for Him that enables us to 'work' for Him and praise Him. But you don't have to do anything to win His affections. He already loves you. However, just as I never got to show Mark just how much I love him, God cannot show us His love for us if we are not in a relationship with Him. He will try... but we won't receive that love until we are in a position to do receive it... and that is up to us.